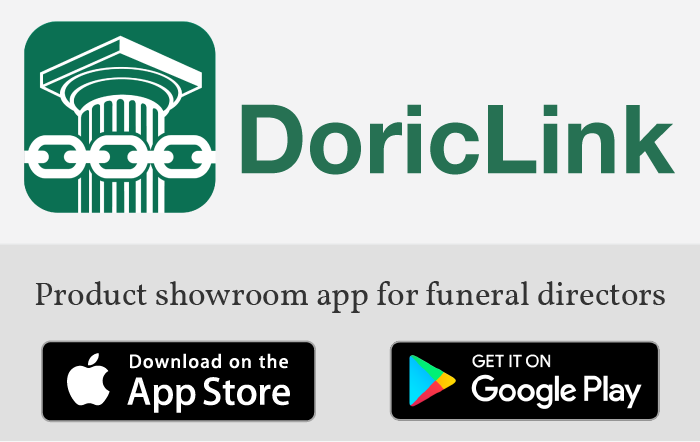 Doric is Proud of our Dealers - Doric Products, Inc. They were recently surprised by the Oklahoma Funeral Directors Association (OFDA) with the “OFDA Stewardship Award”. This was the first year for the award and the OFDA presented only two. The OFDA instituted the Stewardship Award to recognize Sales Club Members for their service and dedication to the industry. The award was voted on by members of the OFDA as well as other Sales Club Members. Jerry & Ruby were recognized for their “faithful service and quality products” as well as their “devotion and compassion to the industry” as stated on the plaque. The Coopers were tricked into attending the presentation by manager Mike Peery and a local funeral director. They believed they were there to support the funeral director for an award he was receiving. Of course, they couldn’t decline that request. I’m sure they are glad they said “yes”.